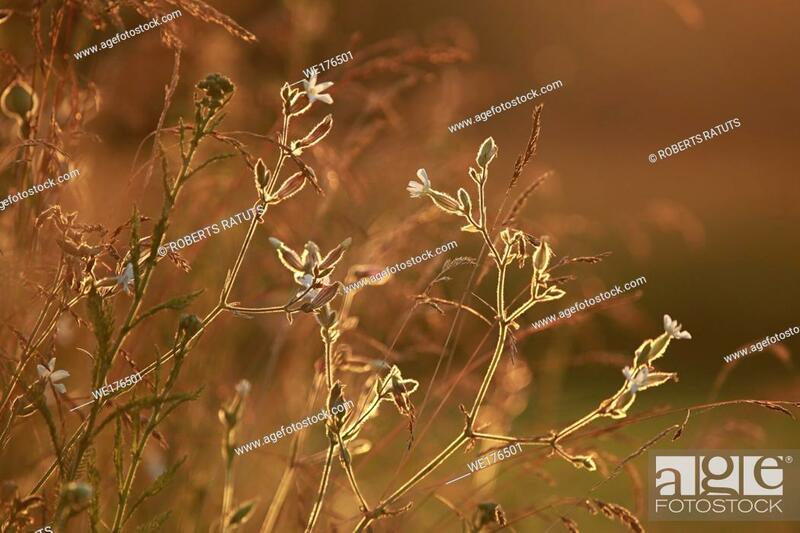 Stock Photo - Field at sunset, sunset on meadow. Grass in the sunlight background. Summer, autumn, fall season landscape. Summertime, autumntime sun scene in Latvia. Backlight.